The war was carried out by the Israeli army against the Gaza Strip in the period between November 14 and 21 of last year. At least 18 Israeli airstrikes during the fighting in Gaza in November 2012 were in apparent violation of the laws of war, Human Rights Watch said today after a detailed investigation into the attacks. These airstrikes killed at least 43 Palestinian civilians, including 12 children. Human Rights Watch field investigations found 14 strikes by aerial drones or other aircraft for which there was no indication of a legitimate military target at the site at the time of the attack. In four other cases, attacks may have targeted Palestinian fighters, but appeared to use indiscriminate means or caused disproportionate harm to civilians. Human Rights Watch did not attempt to investigate all Israeli airstrikes during the eight days of fighting called “Operation Pillar of Defense,” from November 14 to 21. “Israeli forces too often conducted airstrikes that killed Palestinian civilians and destroyed homes in Gaza without apparent legal justification,” said Sarah Leah Whitson, Middle East director at Human Rights Watch. At least seven of the airstrikes investigated by Human Rights Watch appeared to involve aerial drones launching guided missiles, and at least four appeared to involve fixed-wing aircraft dropping aerial bombs. In the remaining attacks from the air, the type of aircraft or the munition is not clear. As Human Rights Watch previously reported, Palestinian armed groups launched hundreds of inherently indiscriminate rockets against Israeli population centers in violation of the laws of war. Whatever the weapon used and the conduct of the other side, the laws of war are applicable and parties to the conflict are obliged to respect them. Several Israeli missiles and a bomb struck civilians and civilian objects, such as houses and farm groves, without any apparent military objective, Human Rights Watch said. Under the laws of war, only military objectives – belligerent forces or objects that make an effective contribution to military action – may be targeted. Human Rights Watch investigations found that Israeli drone strikes on November 19 killed three men in a truck carrying tomatoes in Deir al-Balah, and a science teacher who was sitting in his front yard with his 3-year-old son on his lap, talking to an acquaintance – only the toddler survived, but was seriously wounded. Other drone-launched missile attacks killed a 79-year-old man and his 14-year-old granddaughter in the family’s olive grove in Abasan; a farmer and his nephew as they were walking on a road near their olive trees in the Khan Yunis area; and a 28-year-old woman carrying a blanket in the yard of her home in the town of Khuza’a. An aerial bomb destroyed the two-story cinderblock home of the Hijazi family in Jabalya on November 19, killing the father, two of his children ages 4 and 2, and wounding his wife and four other children. An Israeli Hellfire missile struck a hospital in Gaza City on November 19, puncturing the roof and cutting electricity and water. There were no casualties. Hospitals are protected objects under the laws of war unless being used for military purposes and targeted after giving a warning. Human Rights Watch’s field investigations of these attacks found no evidence of Palestinian fighters, weaponry, or other apparent military objectives at the time of the attack. Individuals who deliberately order or take part in attacks targeting civilians or civilian objects are responsible for war crimes. Several other strikes may have been targeting military objectives, but the harm to civilians and civilian objects appears disproportionate, Human Rights Watch said. The laws of war prohibit attacks in which the expected loss of civilian life and property exceeds the anticipated military gain. An aerial bomb that may have targeted a member of Hamas’s armed wing on November 20 killed him but also destroyed his family’s house in Rafah, killed his 17-year-old brother, blinded their father’s wife, and wounded six of their siblings. A Hellfire missile strike that may have been targeting the home of a member of a Palestinian armed group killed at least three civilians and wounded at least 20 others, many of them outside on a crowded street. The alleged militant was not at home at the time. The weapon systems used by Israeli forces in Gaza should have enabled the crews operating them to minimize civilian casualties, Human Rights Watch said. Parties to a conflict have an obligation under the laws of war to take all feasible precautions to reduce the risk to civilians. Israeli drones can fly over areas for many hours, and carry an array of advanced sensors, often combining radar, electro-optical cameras, infrared cameras, and lasers. These sensors can provide a clear image in real time of people on the ground, day and night. The missiles that drones launch also have cameras that relay real-time video after the missiles have been fired to the drone operators, who can divert the missile away if doubts arise about the target. In all the cases involving drones that Human Rights Watch investigated, drone operators should have been able to hold their fire once they saw civilians would be hit, Human Rights Watch said. The use of Hellfire missiles, fragments of which were found at the scene of two attacks, suggests that some Israeli attacks were carried out by helicopters and fixed-wing aircraft using precision-guided laser or radar. The high accuracy of these weapons systems and the absence of major fighting in the vicinity of the airstrikes would increase the likelihood that the Israeli forces carrying out the attacks had a clear sighting of the target and could decrease the chance of error. Israeli spokespersons have repeatedly said that during “Operation Pillar of Defense” Israeli forces targeted only members of Palestinian armed groups. But, with a few exceptions, they have not commented upon or explained specific attacks that killed civilians in Gaza. The attack that caused the largest number of civilian deaths was the bombing of the Dalu family home on November 18, which killed 12 civilians. Since Human Rights Watch’s previous coverageof the airstrike in which we reported that two posters showed Mohamed al-Dalu, one of those killed, as a Qassam Brigade member, an online forum, purportedly from the Qassam Brigade, described him as a fighter. No information is provided as to the role of al-Dalu, a police sergeant, in the armed group. If al-Dalu were a valid military target and the intended target of the strike, the attack on the home nonetheless raises concerns that it caused disproportionate loss of civilian life and property. Israeli spokespersons said that the attack targeted a member of a Palestinian armed group but it has provided no information to show that the man was a legitimate military target, nor published the findings of a promised investigation following the attack. Israel also has not provided information that would justify other attacks previously documented by Human Rights Watch: a probable drone strike that killed two TV cameramen, a missile strike on a media office that killed a 2-year-old boy, and a third missile strike that wounded seven media workers, one seriously. The laws of war obligate governments to investigate credible allegations of serious violations. The drones deployed by the Israeli military have video-recording devices so that everything viewed by the operator is recorded. Thus, every Israeli drone missile strike in Gaza would be registered on video and available to assist an investigation. In one case, on November 21, a drone-launched missile killed a farmer, his son and his 11-year-old daughter as they were gathering mint in the family’s garden in northern Gaza. The following 13 cases are among the 18 apparently unlawful aerial attacks committed by Israeli forces in Gaza in November 2012 that Human Rights Watch documented. Human Rights Watch has reported on the five remaining cases previously. In 14 of the 18 cases, there was no apparent military objective, and in four others, Israeli forces conducted attacks that appeared not to discriminate between combatants or civilians or caused disproportionate civilian harm. The Israeli military did not answer questions from Human Rights Watch about the specific strikes, but said it was conducting an “operational debriefing” and would release the results of its review by late February. On November 21, at about 3:00 p.m. in the Saftawi area in northern Gaza, an apparent missile struck near the al-Asaly home, instantly killing Talal al-Asaly, a 48-year-old farmer, and two of his children, Ayman, 19, and Abeer, 11, while they were collecting mint from the garden behind their house. Family members and neighbors said that as far as they were aware there was no militant activity in the area at the time. We finished our lunch and I was going to make some tea, so he said “I’ll go get some mint and come back.” I heard the explosion and felt it was so near. I put a scarf on my head. I saw the three of them lying on the ground. I passed out when I saw that scene. It was the first explosion in the area. I never saw any resistance [fighters] here. A relative and neighbor, Nadi al-Asaly, also said he had not seen any Palestinian fighters in the area at that time or before. “I saw smoke on that side and I saw my cousin with his head off of his shoulders, and Abeer and Ayman lying on the ground,” he said. Nadi’s son Zakaria, 15, was wounded by shrapnel in the chest, because he was out back filling a barrel with water when the attack took place, Nadi al-Asaly said. Human Rights Watch inspected the garden where the three family members were killed – an open plot about 70 meters by 20 meters with only mint growing. A small hole, about eight centimeters in diameter, was in the ground in the middle of the plot where family members said the munition had hit. The Israel Defense Forces (IDF) did not make any announcements about strikes in Saftawi at the time. An Israeli organization with links to the IDF, the Intelligence and Terrorism Information Center, stated in a December 16, 2012 report that the three al-Asaly family members killed by the strike were “non-involved” civilians. At 7:30 a.m. on November 19, an Israeli missile struck a Mercedes truck driving on al-Birkeh Street in Deir al Balah, in the Middle Area of the Gaza Strip. The attack killed Tamer Rushdi Bashir, 31, a farmer with three children, who was driving, and his cousin, Amin Zohdi Bashir, 41, a farmer with two daughters, in the passenger seat. The missile also killed Rashid Alian Abu Amra, 51, the father of 11 children, who had asked for a ride to work and was sitting in the truck cab behind the other two men. Human Rights Watch observed a small crater in the street where witnesses said the missile hit the truck, small holes caused in nearby walls and telephone poles by fragments from the blast, and the remains of the truck’s cab. The damage was consistent with the fragmentation sleeve of a drone-launched missile, which consists of small, cube-shaped pieces of dense metal. Witnesses said they heard drones overhead at the time of the attack, and later saw a helicopter hovering low over the ocean while they retrieved the bodies. Tamer Bashir’s father, Rushdi, 55, and Amin Bashir’s brother, Mohamed, 35, separately told Human Rights Watch that Tamer was driving the truck with Amin to a greenhouse and that the truck contained nothing but tomatoes. “They had filled it half-full with tomatoes the night before, and they were going to fill it completely before going to the market,” Rushdi Bashir said. Relatives and residents of the area told Human Rights Watch that the men had no affiliation to any armed groups. Rashid Abu Amra’s widow, Ghalia, 50, said that he had left the house at 7 a.m. that day to travel to his job as a guard at a farm: “The job was a two-month contract with the [Gaza] Ministry of Agriculture. Before the [hostilities] there were usually taxis for him to take. But people told me that there weren’t any in the street that morning, so he got a ride from Bashir.” Abu Amra’s widow and other relatives said that he was not involved with any armed group. Abdallah Loh, a 55-year-old farmer who lives about 100 meters away from the attack site, said the explosion woke him up. “I was worried about my home so I ran out to look. I saw one [body] on one side [of the truck] and one on the other [side]. [The missile] hit right in the middle of the cab. The driver lost his right side, the passenger lost his left side.” The third victim, Abu Amra, “was still alive when I pulled him out [of the cab], but he died in the ambulance,” Loh said. An Israeli organization with links to the IDF, the Intelligence and Terrorism Information Center, stated in a December 16, 2012 report that Amin and Tamer Bashir and Rashid Abu Amra were all Islamic Jihad “terrorist operatives” based on unspecified information that it said was found on the internet. The Terrorism Information Center on January 27 reaffirmed the claim in an email to Human Rights Watch, but did not provide specific information about the case. Armed groups did not list the men’s names among with those of other fighters who had been killed. Evidence from field investigations indicates the men were civilians. All the residents of the area whom Human Rights Watch interviewed said that there were no members of Palestinian armed groups, rocket launches, or other military activity in the area at the time of the attack. A drone-launched missile strike killed Mahmud Said Abu Khater, 34, and Abdallah Harb Abu Khater, 21, at 9:30 a.m. on November 19, in the Ma’an area in the Khan Yunis governorate of Gaza. Shrapnel from the strike wounded Mahmud’s 3-year-old son, Anas. Mahmud Abu Khater, who taught ninth-grade science at the Awda School in the town of Abasan, was killed while sitting outside his front door, holding Anas in his lap and talking to Abdallah, who was standing on the road outside Mahmud’s gate. Mahmud was sitting against the front wall of his house, eating clementines with Anas. I was the first on the scene after the explosion. I found him leaning sideways. I put him on the ground and gave him CPR, but blood came out of his nose. Abdallah was face down in the street. He was hit on the back and right sides. He wasn’t carrying anything, he was just walking, not riding on a bicycle or motorcycle. Khaled said that the toddler, Anas, had suffered serious internal injuries, “but the only external wounds were small holes, like a needle, on his belly.” Anas was later transferred to Kaplan Hospital in Rehovot, Israel. His mother, Arwa, said that doctors had removed 25 pieces of shrapnel in his stomach and intestines, and that he had not regained consciousness. The missile apparently exploded behind Abdallah. Human Rights Watch observed a hole in the dirt road caused by the missile strike and thin copper wires and pieces of circuit-board nearby, and counted more than 200 small holes apparently caused by fragments in the cinderblock walls of Mahmud’s home, and in metal fence posts. Several small cube-shaped fragments, several millimeters on each side, had lodged in the metal poles. The fragments, the small diameter of the hole, the injuries, and other evidence were consistent with a drone-launched missile. The area is open, with few trees, and the Abu Khaters should have been clearly visible to drone operators, Human Rights Watch said. Residents said there were no Palestinian fighters in the area at the time. Israeli airstrikes hit a house 600 or 800 meters away during the eight-days of fighting, and small missiles hit the Islamic University, several hundred meters away, twice without injuring anyone, on November 17 and 18, they said. The Israeli Intelligence and Terrorism Information Center told Human Rights Watch that Mahmud and Abdallah Abu Khater were “Hamas terrorist operatives” based on information that it said was available on the internet. The group published photographs of the men that it said were taken from the Facebook page of the Hamas public activities network in Khan Yunis. The Facebook page refers to the men as “martyrs” from the Khan Yunis area but does not identify them as fighters. The Intelligence and Terrorism Information Center on January 27 reaffirmed its claim in an email to Human Rights Watch, but did not provide specific information about the case. Armed groups did not list the men’s names along with those of other fighters who had been killed. Evidence from field investigations indicates the men were civilians. At about 12:20 p.m. on November 21, a drone-launched missile struck the Abu Nasser family’s olive grove in Abasan al-Kabira, killing Ibrahim Abu Nasser, 79, and his granddaughter Amira Abu Nasser, 14. The attack wounded Ibrahim’s son, Mohamed Abu Nasser, 42, who was near his father. Mohamed told Human Rights Watch that during the two weeks before the fighting began on November 14, his father came daily at 8 a.m. to harvest olives on their two dunam (0.2 hectare) plot in their residential neighborhood: “There were only a few trees left to harvest. My father was always here at 8 a.m. The day it happened, a Wednesday, I’d woken up early to help him. He’s too old to climb the ladder. We just had a plastic bag and sheet to harvest the olives.” No one else was in the olive grove at the time, he said. My father replied that he’d come in after praying [the midday prayer]. He was on the ground praying when a missile hit him. It was a direct hit. I had climbed up the ladder 10 minutes before. I was just two meters away from him. I saw my father killed. I saw my niece and she was on the ground. [The blast] injured me but I didn’t know it. I climbed down. I called the ambulance. Mohamed was wounded in the ankle, right arm, back, waist, and hips; pieces of shrapnel remain in his right leg below the knee. He was treated at Nasser Hospital in Khan Yunis. Mohamed Abu Nasser’s injuries, the wounds that killed his father and niece, and small holes Human Rights Watch observed in the ladder Mohamed was standing on at the time of the attack, were consistent with fragments from a drone-launched missile. Further Israeli airstrikes hit the olive grove later that afternoon, at around 2 p.m. and 4 p.m., residents said. Human Rights Watch observed fragments of large aerial bombs and two large craters in the olive grove. The Israeli newspaper Haaretz reported on its website at 2 p.m. that the IDF said it had “hit three terrorists launching rockets in Khan Younis,” but the IDF did not publish specific information, and it was not clear if the statement referred to the attack that killed members of the Abu Nasser family. No members of armed groups were reported to have been killed or injured in the immediate area of the attack. Residents told Human Rights Watch that there were no members of armed groups in the area at the time and that the residents were not using the olive grove to launch or store rockets, or for any other military purpose. The Israeli Intelligence and Terrorism Information Center stated that Ibrahim and Amira Abu Nasser were “non-involved” civilians. An apparent missile killed Abdallah Ibrahim and Mohammed Abu Adwan, both 18, at 5:30 p.m. on November 21, as they were walking along the “old airport road” in Rafah. Abdullah Ibrahim’s father, Talaat Ibrahim, 47, andstepmother, Hanan Ibrahim, 30, and Mohammed Abu Adwan’s cousin, Eid Abu Adwan, 19, said the two youths were working at Talaat’s home building an addition to the structure until the evening call to prayer sounded, when they went to buy food. Five minutes later Abdallah asked if anyone wanted to come with him to another market [across the street] because they owed him money. No one wanted to, so he left alone. After he had walked about 10 meters Mohamed went after him. They must have walked about 70 meters, around a corner, when the drone [missile] hit. They were dead immediately. We heard the explosion and called them on the phone but they didn’t answer. Human Rights Watch observed photographs of the bodies of the two youths, small holes in the wall at the strike area, and metal fragments, which are consistent with a small missile. Abdallah Ibrahim was a student at the Abu Yusef al-Najjar Secondary School in Rafah; Mohammed Abu Adwan had graduated from the same school and planned to study art at the Islamic University in Gaza City. Neither was a member of an armed group, according to their friends and relatives, and no members of armed groups were in the area at the time of the attack, residents said. The IDF did not publish specific information about attacks in the area at the time. 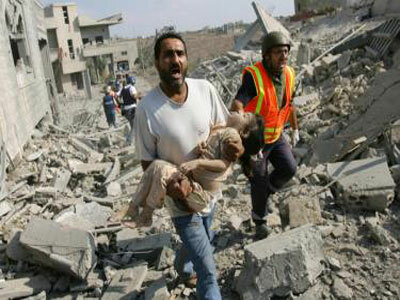 The Israeli Intelligence and Terrorism Information Center stated that the two casualties were “non-involved” civilians. A drone-launched missile killed Ibrahim al-Astal, 48, and Omar al-Astal, 14, his nephew, on Ibrahim’s land in the Khan Yunis governorate shortly after 8 a.m. on November 19. Shrapnel from the blast struck 3-year-old Rawa al-Lahaam in the head, causing a brain injury, while she was in the courtyard of her family’s home nearby. [Ibrahim and Omar] had just left their land and were walking down the road, just behind me. I heard them joking together. Ibrahim was 10 meters behind me. Suddenly I heard an explosion, I turned around and they were on the ground. The boy said “Help me,” once. Abu Oweili said he called for an ambulance at 8:10 a.m. There were lots of drones that morning. It was the first attack in this area. I had gone inside to the kitchen to get food and I asked Rawa to stay outside. When I heard a sound I came out, she was injured in her head. I also saw two people lying in the road. I recognized Ibrahim, he was wearing a red hat and a jacket. They weren’t carrying anything. Every day I dream of the attack. Rawa was being treated at the brain and nerve department of the European hospital in Khan Yunis at the time Human Rights Watch visited her home. Human Rights Watch observed numerous small holes in the thin fencing material and cinderblock walls of the Lahaams’ home that were consistent with fragments from a drone-launched missile. Witnesses consistently said that there were no other airstrikes in the area during the escalation. “I wasn’t scared to be out in the fields,” Abu Oweili said. “There are no big trees here, they could easily see us [from aircraft].” Al-Lahaam said that her parents had been planning to stay with her, for safety, because there had never been rockets fired from the area. The Israeli Intelligence and Terrorism Information Center told Human Rights Watch that Ibrahim al-Astal was a “Hamas terrorist operative” based on unspecified information it said was available on the internet. The Terrorism Information Center on January 27 reaffirmed its claim in an email to Human Rights Watch, but did not provide specific information about the case. Armed groups did not list al-Astal’s name among with those of other fighters who had been killed. Evidence from field investigations indicates he was a civilian. Residents said they were not aware of any fighters in the area at the time, and that the two men were not affiliated with any armed groups. The IDF did not publish information about strikes in the area at the time. An unidentified munition, most likely a missile based on the circumstances of the attack, killed Mahmud al-Arja and Ibrahim Hamad, both 16, at around 4:45 p.m. on November 20, in a field about 700 meters from the Israeli perimeter fence east of Rafah, in southern Gaza. I was at home with my sister. There were lots of drones in the sky. It was after the Maghreb prayer, on a clear afternoon, there were no clouds. We had been watching the boys for 10 minutes, we were surprised to see them there so late. They were the only two in the area. They had been working on the ground and had just stood up, it seemed they were about to leave when there was an explosion and we couldn’t see them anymore. Residents said that no Palestinian armed groups were in the area where the boys were killed. Human Rights Watch visited the site, an open, exposed area from which the Israeli perimeter was visible. About 20 people had been in the area where the boys were killed earlier in the day, residents said. The Israeli Intelligence and Terrorism Information Center stated that the two boys were “non-involved” civilians. Palestinian ambulances were unable to reach the boys for hours, relatives said, because they could not obtain “coordination” with the Israeli military to reach the area near the border where the bodies were. Khalil al-Arja said an ambulance arrived at around 5 p.m., but, “He waited for coordination for an hour and a half, then went back to [Abu Yusef Najjar] hospital [in Rafah camp]. My older brother, Ismail, was in the hospital and he arranged for another coordination. But the ambulance came a second time, waited another two hours and gave up.” A third ambulance finally received coordination shortly after 11 p.m., residents said. A drone-launched missile fatally injured Ahmad Awad Mahmud Abu Aliyan, 14, and seriously wounded his uncle, Sliman Abu Aliyan, on an agricultural plot in Abasan al-Jedida at around 2:30 p.m. on November 15. Ahmad, a 10th grade student at Awda secondary school in Abasan, died on November 21 from a head wound. The missile struck the man and the teenager in a grove of olive and clementine trees, which Human Rights Watch inspected, about 60 meters into a large agricultural plot south of Abu Anza Street in the residential Abu Taymeh neighborhood. One resident said that he had heard a rocket launched from the large agricultural plot before the escalation in hostilities on November 14, but was not aware of any rocket launches on November 15. No one else was near Ahmad and Sliman Abu Aliyan during or immediately before the attack, local residents said. I rode around until it was time for the ‘Asr prayer, at around 2:30 p.m. I entered the land, and started to wash up [for the prayer]. I finished, and I saw Ahmad was there too, about 14 meters away from me. I walked toward him. There were just the two of us there. He was two meters away from me, under a tree, when it hit. He was lying on the ground. I said the confession for him and he passed out. I passed out too. I woke up, walked 10 meters and was shouting, and the neighbors heard me. Ahmad was sent to Nasser hospital [in Khan Yunis]. I went by car to the European hospital. Ahmed was under a tree when the missile hit, he was hit by only three or four shrapnel, and they found more than 100 shrapnel in me. I can still feel the shrapnel in my left hand. It came in the back of his head and out under his eye, and one in the arm and one leg. Mohamed Abu Taymeh, 19, who lives near the grove and heard the airstrike, recalled that “the sky was full of drones” at the time of the attack, when he was leaving a mosque in the area after prayers. It was the first airstrike in the area, he said: “Other areas had been hit by small missiles but this land hasn’t been hit before. Ahmad was the first martyr here.” The Israeli Intelligence and Terrorism Information Center stated that Abu Aliyan was a “non-involved” civilian. A drone-launched missile killed Samaher al-Qdeih, 28, at about 9 p.m. on November 17, in the courtyard of her home on al-Maqbara Street in the town of Khuza’a, near the Israeli perimeter fence in southeastern Gaza. The strike injured Nidal al-Qdeih, 27 – the son of Samaher’s husband’s first wife – who was in the yard at the time. Samaher was with her husband, Naji al-Qdeih, 48, and their two-month-old daughter Mayar, in a one-story cinderblock building when the family heard several airstrikes in the Abasan area, about three kilometers away, family members told Human Rights Watch. Naji and Samaher took their daughter and walked immediately next door, to the home of Naji’s first wife, Maha al-Qdeih, for the family to be together. It was around 9 p.m. We turned on the news when we heard the airstrikes. My son Nidal was outside [in the yard], listening to the radio on his mobile phone, with the headphones in. And Samaher went back to the front building to get a blanket. We were sitting indoors and suddenly the glass and dust and blast was raining down inside. We’re still coughing from the smoke. We started screaming and went outside. She had died immediately. Her body was in pieces. She was just carrying a blanket for herself and her daughter. Nidal had been sitting next to a tree in the yard, and was partly shielded from the blast by two large blue plastic water tanks, which were perforated by small holes. The tree trunk and the wall of the building also had small holes consistent with fragments from a drone-launched missile. Human Rights Watch observed a small hole in the ground near the wall of the house, and remnants of a missile in the yard. When Human Rights Watch visited the Qdeih home, family members said that Nidal was being treated at al-Ahli Hospital in Cairo for burns on his left arm and leg, shrapnel in his chest, and a broken right leg from the attack. Nidal’s father had gone to Egypt to accompany him. The family evacuated their home after the attack. “We were too scared to come back for four days,” Maha said. “People told us to run away, because they’d hit the house again.” There were no other attacks in the immediate area. The Israeli Intelligence and Terrorism Information Center stated that Qdeih was a “non-involved” civilian. On November 19 at around 7:30 p.m., a single munition struck the house of the Hijazi family in Block 8 of the Jabalya refugee camp. The small, two-story cinderblock house was mostly demolished while 10 family members were inside. The strike killed Fouad Hijazi, a 46-year-old janitor at the Hamad secondary school, along with two of his children, Mohamed, 4, and Sohaib, 2. His wife, Amna, was wounded, as were three of their sons and a daughter. Mohamed and Sohaib were with my father in another room. The rest of the family was in another room watching TV. At 7:30 I saw that the whole place turn red and suddenly the whole house collapsed on our heads. I found myself at my neighbor’s house and one of my neighbors took me to an ambulance. I was hospitalized for four days at Kamal Adwan Hospital. I have two broken bones in my spine. I don’t need surgery but I’m in a lot of pain. [Doctors said that] I must lie in bed for one month. Human Rights Watch also saw three of Nur’s wounded brothers. Ashraf, 17, had cuts on his chest, upper arm and above the right eye. Osama, 13, had a bandage on his head that he said covered cuts. Musab, 2, had a cut on his head. A video apparently of the Hijazi house after the strike shows workers removing the bodies of Fouad, Mohamed, and Sohaib. The Hijazi house, inspected by Human Rights Watch on November 28, lay in ruins. The surrounding buildings in the densely packed area were only lightly damaged, except that there was slightly more substantial damage to one side of one adjacent house. The damage suggests that an Israeli aircraft dropped a bomb at the site. Human Rights Watch found no munition remnants at the site. A neighbor who lives across a very narrow street – too small for a car – from the Hijazi home said he heard no shooting of rockets from the area at the time or at other times during the 8-day conflict. There were no other explosions in the area that night, he said. He and other local residents said they did not know or understand why the Hijazi family home had been hit, saying that the family had no connection to any of Gaza’s armed groups. One of Fouad’s other sons had been killed by an Israeli strike about five years earlier, one neighbor said, but he was a civilian who was killed accidentally. The IDF did not make any announcements about specific strikes in Jabalya at the time. The Israeli Intelligence and Terrorism Information Center stated that the three victims were “non-involved” civilians. Two Hellfire missiles struck a second-story apartment on Baghdadi Street in Shaja’iya at about 4:30 p.m. on November 20, killing Yusra Shawa, 18, and badly injuring her mother, Mona Shawa, 47, who were inside. The explosions also killed three people in the street below: Saqer Bulbul, 57, Tareq al-Hjeilah, 40, and Mahmud Zohri, 21. Fragments of the missiles wounded more than 20 people, at least 2 seriously, who were on the street to watch a delegation of foreign ministers from countries in the region who were visiting Gaza during the conflict. The delegation passed by about seven minutes before the missile attack. The target of the attack may have been Riziq Hillis, an alleged member of al-Qassam Brigades in his 20s who apparently lived on the first floor of the building. Human Rights Watch was unable to obtain information on his rank or position in the armed group. Human Rights Watch examined the damage to the Shawa apartment. Two large windows facing Baghdadi Street, each with metal bars, had been hit directly by a missile, with the warheads apparently detonating upon impact with the bars. Fragments of the missiles including engine parts and circuit boards were found inside both rooms. Yusra Shawa’s father, Basil, a shop owner, said that the family had been renting the apartment for 11 years and that he and his three sons, all under 18, had “nothing to do with the resistance.” The only building in the area to have been targeted by Israeli airstrikes was the Shajai’ya police station, about 300 meters away, which was completely destroyed, apparently by an aerial bomb attack, on November 21. It happened around 4:30 p.m. Yusra was watching TV with me, sitting close together, and our three boys were out on the street. Then the missiles hit. I didn’t hear the explosions, I just saw rubble and dust. I tried to call out for her but I couldn’t see her. I refused to leave the house before they found her. Somebody told me she was in the ambulance and only injured slightly. I learned later that shrapnel entered her head and killed her. The blasts killed Mahmud Zohri, a 21-year-old motorcycle mechanic, who was standing several dozen meters away outside the Addis Supermarket, said Awad al-Amasi, 33, a resident who was standing alongside Zohri at the time. “There was just one internal injury, in the abdomen, but he was bleeding from his mouth,” al-Amasi said. “He was just out buying food.” Al-Amasi was wounded by shrapnel that passed through his right calf. A statement published on December 6 on a website, al-Watan Voice, described al-Hjeilah as a “spokesman” for the Aqsa Martyrs’ Brigades, an armed group loosely affiliated to the Fatah political movement, and stated that he had fired rockets in the past. The statement was apparently written by his family members seeking compensation for al-Hjeilah’s death from Fatah (in some cases, Palestinian political groups provide compensation to the families of “martyrs”). Since 2006, other spokesmen have represented the Aqsa Brigades, and the armed group did not list him on its website among the fighters who had been killed. There is no indication that al-Hjeilah was the target of the attack. Debris or shrapnel from the second missile hit Saqer Bulbul, 57, on his back, neck and head, killing him, residents said. A neighbor, Ahmad Mreish, 29, was in an alleyway leading to Bulbul’s home when the first missile struck. “I ran out to the street and within 10 seconds the second one hit. I saw him falling down, he died almost immediately. I was slightly injured in my shoulder and foot but I didn’t feel it, I was trying to help Saqer.” An ambulance came to take him 20 minutes later. One of Bulbul’s two sons, Mohamed, 14, said that he was standing next to his father at the time and was lightly wounded in the neck. His family said that Mohamed had frequent nightmares about the attack. Bulbul’s family and neighbors said that he worked occasionally as a porter carrying goods for local shops, but lived mostly on charity. He had no affiliation with any armed groups, they said. Ahmad Mohamed Ali Ijarru, an 18-year-old student at al-Azhar University, was 10 meters from the Shawa apartment, in the doorway of his home, at the time of the attack “I was going to the supermarket,” he said. “I lost consciousness and didn’t wake up until the next day. I have nightmares every night.” Shrapnel ruptured al-Ijarru’s colon, according to a nurse at al-Shifa hospital, where Human Rights Watch interviewed him. He was intubated through one nostril and had bandaged legs. Human Rights Watch spoke with and observed the wounds of three other residents, aged 29, 22, and 10, who said they were wounded by shrapnel from the explosion. The IDF did not publish specific information about attacks in the area at the time. The Intelligence and Terrorism Information Center stated that Shawa, Zohri and Bulbul were “non-involved” civilians. An Israeli aerial bomb killed four people and wounded more than a dozen in an attack apparently directed at the home of Khaled Azzam, a member of an armed group, at around 3 a.m. on November 19 on Abu Zor Street in the Zeytoun neighborhood south of Gaza City. Damage from the blast destroyed two buildings and left at least two more uninhabitable. Human Rights Watch observed a large hole in the roof of the four-story building that was struck, apparently the entry point for the munition that destroyed it, indicating that the munition penetrated the building before detonating. Human Rights Watch also observed shrapnel from an aerial bomb, which residents said had struck the building. The targeted building was owned by Abu Khalil Azzam. One of his sons, Khaled Azzam, 28, lived on the second floor. Khaled Azzam allegedly is a member of Saraya al-Quds, the armed wing of Islamic Jihad. Human Rights Watch was unable to determine Azzam’s position or rank in the armed group. Several of Khaled Azzam’s relatives separately told Human Rights Watch that at around 3 a.m., he received a phone call on his mobile phone from an unidentified number. The caller asked whether he was speaking to Khaled Azzam, and identified himself as “the Israeli army.” Khaled hung up, and did not respond when the phone rang again, but ran to tell his relatives to evacuate the building. His brother, Hamza, 26, had recently married and built the top floor, but was away visiting his mother. Another brother, Akram, 27, lived with his wife on the third floor; and a third brother, Khalil, 33, lived with his wife and three children on the ground floor. Shortly after Khaled received the phone call, three small “warning” missiles struck buildings in the immediate area. The first hit the building where Khaled lived. Another struck a building across the street, owned by Mohamed Felah Azzam, and penetrated the thick reinforced concrete roof. Human Rights Watch observed a small hole, four centimeters in diameter, in the roof, and the impact of the missile in the floor below. Akram Felah Azzam, 22, a cousin, said he heard the first missile strike but assumed it was “far away, so I went back to bed and turned on the radio. [The second strike] was louder and I heard screaming. ‘They’re targeting us, get out!’” He gathered his family and ran downstairs, where he heard the third small missile strike the area. I heard the first missile, then another one about a minute-and-a-half later. I heard my cousin yelling that there might be a big attack. I woke up my three brothers and their families and we grabbed our children and ran around the corner onto some empty land. Not more than six minutes after the first missile, the bomb hit. Mahmud al-Zahar, 52, said neighbors woke him up and he also ran around the corner. No one on the street was killed. The blast and rubble from the explosion demolished the home of Mohamed Saadi Abu Zor, known as Abu Haitham, which was immediately to the south of the targeted building. Abu Haitham’s building faced onto al-Qitati Street, one block south, parallel to the street the Azzam building fronted. At least 21 people were in the building at the time of the blast, including people who had run there from a neighbor’s house to take shelter after a “warning” missile struck the neighboring building. The blast, shrapnel and debris from the explosion killed Sahar Abu Zor, 20, who was on the second floor of Abu Haitham’s building; Nisma Abu Zor, 20, who had run from the building into al-Qitati Street; Mohamed Abu Zor, 3; and `Aid al-Qitati, 36, a neighbor, who had run toward the building to help residents there. The blast also wounded Abu Haitham’s wife, Tihani Abu Zor, 50, whose eyes, elbows, legs, back and feet were injured; her sons, Ahmad, Musab and Mohamed, and her daughter Fatmeh; Sahar Abu Zor’s year-old daughter, Shahid, whom Sahar was carrying; and four members of Fouad Abu Zor’s family, including Fouad, in his 60s, and three of his grandchildren. A small missile struck the home of Abu Haitham’s next-door neighbor, Fouad Abu Zor. Saadi Abu Zor, 24, an electrician, lived with his wife, Nisma, and daughter, Rawan, on the third floor of the building. “A missile came through the roof and lit up my room, and went through the floor and into the room below,” without exploding, he said. He and his family went downstairs, and they and some of the other residents of Fouad Abu Zor’s building then sought shelter in Abu Haitham’s house. The IDF did not comment on specific strikes in the area at the time. The Intelligence and Terrorism Information Center stated that those killed were “non-involved” civilians. An aerial bomb that may have targeted the home of Mohamed al-Nasasra, 19, a member of Hamas’s armed wing, the Qassam Brigades, killed him and his brother Ahmad, 17; blinded their father’s wife, Amani, 43, and wounded their father and six of their siblings, when it hit and destroyed their house in the Nassar neighborhood of Rafah at around 10 p.m. on November 19. The house is about two kilometers from the Israeli perimeter fence. At the time of the blast, 11 people, including Tawfiq al-Nasasra, 50, his wife Amani, and nine of his 12 children (of whom eight, including Ahmad and Mohamed, were from previous wives), were in the 170-square-meter cinderblock building, family members said. The family, who were Bedouins, had lived in the building for 22 years, they said. Human Rights Watch observed a large crater where the house had been and fragments of an aerial bomb at the site. The Qassam Brigades’ website stated that Mohamed al-Nasasra was a “Qassam fighter” and listed him among those who had been killed. The Israeli Intelligence and Terrorism Information Center stated that Mohamed’s brother, Ahmed, was also a “Hamas terrorist operative,” but did not, in response to an email on January 27, provide Human Rights Watch with specific evidence of that claim. The Qassam Brigades did not list Ahmed among its killed fighters. Residents told Human Rights Watch that there were no other military targets in the area at the time of the attack. I stood up. My toes were broken. My left foot was broken and my calf was burned and I had shrapnel in my face. There was no electricity. I couldn’t see my children. I found Sama [his 18-month-old daughter] by the sound of her voice. I found Fatmeh [another daughter] using the light on my mobile phone. She was under the rubble. The Achilles tendon of Lama [a third daughter] had been cut and part of her face was missing under her right eye. Sakher, my 12-year-old son, has never regained consciousness. His legs were crushed and he had a head wound – he’s still in the hospital. Everyone was blown outside the crater. Mohamed was 40 meters from the impact. He and Ahmad had no visible wounds. Human Rights Watch observed the hospital records for each of the wounded. We were in the house watching the news on TV. My husband said he wanted to go to sleep, but I wanted to stay up and watch Al Jazeera to see if there was any news of a ceasefire. The last thing I remember, my husband asked if I changed the channel and I said yes. I didn’t feel anything when the bomb hit – I was unconscious. I didn’t wake up again until I was in the ambulance. Amani suffered second degree burns and was largely blinded. “I can’t see – ever since the bombing, I can only see shadows,” she said. The Palestinian prisoner center for studies said the Israeli occupation forces (IOF) at Beit Hanoun (Erez) crossing had detained since the beginning of the current year five Gazans, some of them patients. Director of the center Riyadh Al-Ashqar stated on Wednesday that the patients were kidnapped as they were trying to travel to the Israeli occupied lands to receive medical treatment in hospital there, affirming that all the five citizens obtained permits before their travel. "The occupation has never stopped the blackmail policy it uses against the patients or their arrest, taking advantage of their need for treatment in hospitals of the West Bank and the 1948 occupied lands in order to pressure them to work for it," Ashqar underlined. He affirmed that the Israeli intelligence interrogators first ask the Gazan young men, who submit travel requests to the Israeli authorities at Beit Hanoun crossing, to come for security check interviews, but after these meetings, they are kidnapped. Rafiq Abu Harbid, 34, was detained on his way for treatment and subjected to interrogation before he was taken to an unknown place, the center director explained. Two young brothers, Rami and Mohamed Tayeb, were also kidnapped after they arrived at the crossing in order to visit their mother who lives in the west Bank. Both of them had obtained Israeli visit permits, according to Ashqar. He said that the fourth detainee was a young man named Mohamed Abu Daka and was kidnapped on his way back to Gaza after he escorted his ill mother during her medical trip in the West Bank. He added that a young patient named Naser Fayyadh also wanted to go to a hospital for treatment, but upon his arrival along with his father at the crossing, the IOF kidnapped him and forced his father to return to Gaza. Ashqar called on the international human rights groups to necessarily intervene and end Israel's kidnapping of the Gazans who need to travel through Beit Hanoun crossing. Israeli occupation forces (IOF) rounded up 124 Palestinians in occupied Jerusalem and the West Bank over the past week, a Palestinian statistics report said on Monday. The statement by Hamas said that 23 minors were among the detained Palestinians in addition to three women, one of them from occupied Jerusalem and was later released while two others were detained near the Ibrahimi mosque. The statement pointed out that 16 of the detainees were recently released from PA jails while a number of others were former prisoners in Israeli occupation jails. Hamas underlined that the IOF’s large-scale arrest campaign in the past week had focused on the movement’s MPs, leaders, and supporters. On January 29, Tel Aviv boycotted a UN Human Rights Council (UNHRC) review in the Swiss city of Geneva that examined Israel's violations of Palestinian rights. In spite of a security agreement with the Palestinian National Authority, according to which Ramallah falls under full Palestinian administrative and security control, Israeli forces regularly carry out raids in the city and its surroundings. The Palestinian fishermen have been subjected during January to 15 Israeli violations in Gaza sea, the Palestinian Center for Human Rights revealed in a report published on Friday. The center said in its report that the Palestinian fishermen were exposed to 15 violations carried out by the Israeli Navy between January 1 and January 31, where 3 fishermen were arrested, in addition to the confiscation of their boat. PCHR considered the Israeli attacks on the Palestinian fishermen in Gaza as a flagrant violation to the humanitarian laws and the international human rights law that protects the life of civilians and respects their rights in accordance with article 3 of the Universal Declaration of Human Rights and article 6 of the International Covenant on Civil and Political Rights. The report stressed that the Palestinian fishermen did not pose a threat to the Israeli Navy to attack them. In its Weekly Report On Israeli Human Rights Violations in the Occupied Palestinian Territories for the week of 31 Jan.- 06 Feb. 2013, the Palestinian Center for Human Rights found that 2 Palestinian children were wounded in the northern Gaza Strip; and 2 Palestinian civilians, including a child, were wounded in the northern West Bank. In the Gaza Strip, on 01 February 2013, 2 Palestinian children were wounded when the Israeli forces positioned along the border fence, east of Abu Safiya area in the east of Jabalya, opened fire at a group of persons, who were few meters to the west of the border fence. In the context of other shooting incidents, during the reporting period, 5 shooting incidents were carried out against Palestinian farmers and collectors of gravel, steel and firewood in the northern border area on 03, 04 and 05 February 2013. In the context of targeting Palestinian fishermen in the sea, the Israeli gunboats stationed off al-Waha resort, northwest of Beit Lahia, opened fire heavily at the Palestinian fishing boats twice on 03 and 04 February 2013. In both incidents, neither casualties nor material damage were reported. The Israeli forces conducted 83 incursions into Palestinian communities in the West Bank this week. At least 80 Palestinian civilians, including 8 children, were abducted in the West Bank. 3 members of the Palestinian Legislative Council (PLC) were among those who were abducted. Offices of al-Zakat Committee in Tulkarm and Islamic Awqaf (endowments) Department in Qalqilia were raided. At least 15 Palestinian civilians, including 2 children, a girl and a prisoner's mother, were abducted at checkpoints. Israel continued efforts to create Jewish majority in the Occupied East Jerusalem. 2 houses were demolished in Beit Hanina village, north of East Jerusalem, due to which 5 families became homeless. In the context of house demolitions, on 05 February 2013, the Israeli forces demolished a house belonging to Ibrahim al-Qaswani in Beit Hanina, north of East Jerusalem. The 1-storey house, which is tin-roofed, is built on 170 square meters and resided by 6 members, including 4 children. The Israeli forces moved into Wa'er Abu Salah neighborhood in Beit Hanin village, surrounded a building that is resided by 4 families and demolished it completely. The 2-storey building was built on 210 square meters and included 4 apartments for 4 brothers and their families. As part of settlement expansion projects in East Jerusalem and its suburbs, on 05 February 2012, the Israeli forces demolished facades and arches of a historic building that is located in the northern side of al-Buraq Wall. Al-Aqsa Foundation for Waqf [Islamic endowment] and Heritage mentioned that the Israeli authorities were planning to build a Jewish complex. The regional settlement council approved the construction of a cultural village on 218 dunums of 'Anabta village, northeast of East Jerusalem. The Israeli Haaretz newspaper reported on 31 January 2013 that the Israeli Civil Administration had approved the maps of establishing a cultural village near "Kfar Adumin" settlement. On 31 January 2013, a group of Israeli settlers, under the Israeli forces' protection, moved into Sanour camp, south of Jenin near Jaba' village, to perform Jewish rituals and withdrew later. On 02 February 2013, a group of settlers from "Kiryat Arba" settlement, east of Hebron, attacked 2 children from Jaber family while the children were in their commercial stores in the Old Town of Hebron. Half an hour later, an infantry unit moved into the area and abducted the 2 children in addition to a third person. On 04 February 2013, the Israeli forces delivered 2 notices to 2 Palestinian persons from Ethna village, west of Hebron, in order to stop the construction works in a house belonging to Mohammed Hussein FarajAllaj, 29, and leveling works on a land that was being prepared for the construction of a house belonging to Wajdi Deeb FarajAllah, 30. On 04 February 2013, an Israeli infantry unit moved into agricultural lands in al-Edisaarea, west of Sa'ir village in the northeast of Hebron. They denied persons from al-Mtour family access to their lands under the pretext that those lands were confiscated. On 05 February 2013, the Israeli forces sent a notice to Hussein Mosa al-Hroub, 40, from Tarousa area in the south of Hebron, to demolish an under-construction house belonging to the aforementioned person. On 05 February 2013, a group of settlers moved into the northern area of Deir Jarir village, northeast of Ramallah. They set fire to 2 vehicles in the village belonging to Khamis Mohammed Farakhna and Mosa Khamis Farakhna and wrote slogans that reads, "Jewish blood will not be shed in vain". On 06 February 2013, the Israeli forces demolished a water well belonging to Khalil Ahmed Hassan al-Ezza, 50, in Ein al-Delba area near al-Fawwar refugee camp, southeast of Hebron. The well was used for agricultural purposes. In the same context, the settlers from "Zufim" settlement, northeast of Qalqilia, started establishing a new outpost on lands belonging to Jayous village. It was supposed that these lands would be returned to their owners after the Israeli High Court had decided to change the route of the annexation wall in 2009. During the reporting period, Israeli forces used force against peaceful demonstrations organized by Palestinian civilians and international and Israeli human rights defenders in protest at the construction of the wall and settlement activities in the West Bank. As a result, a child was wounded in a demonstration organize by the civilians of Kufor Qadoum village, northeast of Qalqilya on Saturday 02 February 2013, in solidarity with the people of Bourin village, south of Nablus, who started, with the help of local activists, building al-Manateer village on lands threatened with confiscation for settlement expansion projects. Following the Friday Prayer on 01 February 2013, dozens of Palestinian civilians and international and Israeli human rights defenders organized a peaceful demonstration in Bil'ein village, west of Ramallah, in protest to the construction of the annexation wall. The demonstrators gathered in the streets of the village, chanting slogans calling for national unity. The protesters aimed to stress the need to adhere to national principles and the right of return, to resist the occupation and to call for the release of all Palestinian prisoners. The protesters raised Palestinian flags and made their way towards the lands adjacent to the annexation wall. The Israeli forces closed all ways and entrances to the village since early morning hours, to prevent Palestinians, journalists and international activists from joining the protest. The protesters raised Palestinian flags and made their way towards the wall. They called through megaphones for Israeli settlers in “Mitityahu” settlement to leave Palestinian land. Israeli soldiers stationed in the area fired rubber-coated metal bullets, sound bombs and tear gas canisters at the demonstrators. Also following the Friday Prayer on 01 February 2013, dozens of Palestinian civilians and international and Israeli human rights defenders organized a peaceful demonstration in Ne’lin village, west of Ramallah, in protest at the construction of the annexation wall and settlement activities. The demonstrators moved towards areas of the annexation wall. Immediately, Israeli soldiers stationed in the area fired rubber-coated metal bullets, sound bombs and tear gas canisters at the demonstrators. Around the same time on Friday, 01 February 2013, dozens of Palestinian civilians and Israeli and international human rights defenders gathered in the Martyrs Square in Nabi Saleh village, northwest of Ramallah, to hold a weekly peaceful protest against the construction of the annexation wall and settlement activities, entitled: "Freedom for Our Heroes in Israeli Jails." The protesters walked towards the gate erected by Israeli forces near the entrance of the village, which leads to Palestinian lands that Israeli settlers from the nearby "Halmish" settlement are trying to seize. Israeli soldiers fired live and rubber-coated bullets, sound bombs and tear gas canisters at the protesters. As a result, a 10-year old sustained bruises. At approximately 12:15 on Friday, dozens of Palestinian civilians and international human rights defenders organized a peaceful demonstration in the center of Kufor Kadoum village, northeast of Qalqilya, in protest to the continuous closure of the eastern entrance of the village since the outbreak of al-Aqsa Intifada. The demonstrators moved towards the entrance of the village. Immediately, Israeli forces, stationed in the surroundings of the steel gate established at the entrance, fired tear gas canisters and sound bombs at the demonstrators; as a result, dozens of them suffered from tear gas inhalation. Moreover, a lot of tear gas canisters fell into a house which is located near the closed gate. As a result, a number of his family members suffered from tear gas inhalation. Israeli soldiers abducted a man after punching him and transported him to an unknown destination. At approximately 16:30 on Saturday, 02 February 2013, dozens of Palestinian civilians and international human rights defenders organized a peaceful demonstration at the eastern entrance of Kufor Qadoum, northeast of Qalqilya, which has been closed since the outbreak of the al-Aqsa intifada, in solidarity with the people of al-Manateer village, which was held at Bourin village, in protest to the threat of confiscating the lands for settlement expansion projects. Immediately, Israeli forces fired rubber-coated metal bullets and tear gas canisters at the demonstrators. As as a result, Hakim Maher Abdel-Latif Shtaywy sustained cuts and bruises after he was hit with a gas canister to the chest. Due to the number and severity of Israeli human rights violations this week, the PCHR made several recommendations to the international community. Among these were a recommendation that international civil society organizations, including human rights organizations, bar associations and NGOs, participate in the process of exposing those accused of grave breaches of international law and urge their governments to bring the perpetrators to justice. The PCHR calls upon the European Union to activate Article 2 of the Euro-Israel Association Agreement, which provides that Israel must respect human rights as a precondition for economic cooperation between the EU states and Israel. PCHR further calls upon the EU states to prohibit import of goods produced in illegal Israeli settlements in the Occupied Palestinian Territories. The Israeli Occupation Authorities (IOA) demolished 465 Palestinian buildings and established 482 outposts in the West Bank and the occupied city of Jerusalem during the last year, a Palestinian official statistical report documented. The PA Ministry for Settlement and Wall Affairs stated in its report issued on Sunday that the occupation authorities have set up over the past year 185 settlements and 175 outpost, in addition to other 29 settlement sites. The report pointed out that the Israeli authorities completed 444 kilometers of a total 757 kilometers currently under construction of the Apartheid Wall that will isolate 10.2 per cent of the occupied West Bank. The report documented that 465 Palestinian facilities were demolished during the last year concentrated mainly in al-Khalil, Jerusalem and the Jordan Valley, pointing out to 728 demolition orders concentrated in al-Khalil and Jerusalem. The report revealed new Israeli ways to confiscate Palestinian territories, where IOA began issuing decisions to confiscate isolated lands behind the separation wall such as those within the city of Jerusalem to the north of Bethlehem. A report monitoring the Israeli attacks on Palestinian journalists displayed an escalation in those attacks in the past month of January. The Palestinian government’s information office said in its monthly report on freedom of the press in the Palestinian territories that the Israeli occupation forces escalated their assaults on journalists. It said that 17 assaults were recorded comprising shooting, beating, and detention. The report said that the most prominent attack was registered during the IOF soldiers’ forced evacuation of Bab El-Shams protest village to the east of occupied Jerusalem where Palestinian activists had established a tent village on lands threatened with Israeli confiscation in the holy city to build the biggest ever settlement project. Wadi Hilweh Information Center issued a report on Saturday monitoring the Israeli violations in occupied Jerusalem during the month of January last year. 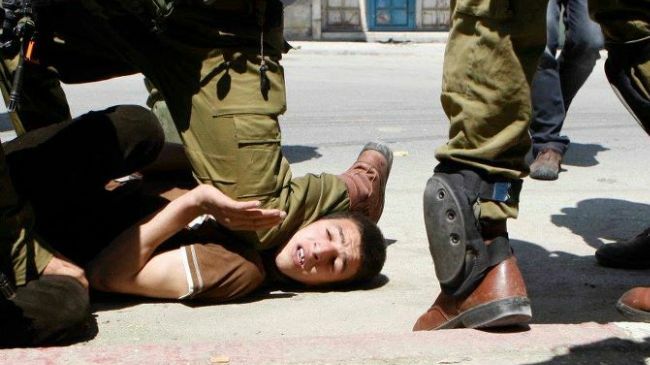 The report pointed to the Israeli escalation in arresting Palestinian minors in particular the towns of Silwan and Issawiya where they were subjected to interrogation before being turned to home arrest. The report also dealt with the Israeli policy of demolishing houses, where the occupation municipality has demolished at the beginning of the year the house of the hunger striker Samer al-Issawi's brother and it also demolished a number of houses and uprooted trees in Wadi al-Rababah south of the Old City of Jerusalem. Wadi al-Hilwah reported 43 arrest cases during the month of January, half of them carried out in Silwan, and some others in Issawiya, and few cases in the Old City of Jerusalem and Sheikh Jarrah neighborhood. The Centre indicated that about half of the detainees were children aged between 12-14 years. The Jerusalem Municipality has demolished at the beginning of this year a house under construction belonging to Raafat al-Issawi in the village of Issawiya, in addition to razing vast lands and uprooting several trees, while demolishing a number of Palestinian facilities and confiscation of Palestinian properties. The report pointed out to handing demolition orders against a number of installations and houses in Tur and Issawiya. Israeli bulldozers demolished a building in the neighborhood of Ras al-Amud under construction consisting of 4 floors; in addition to demolishing 3 houses belonging to Palestinian families consisting of 7 and 8 members. In Beit Safafa, Israeli bulldozers demolished shelters for sheep and poultry belonging to the Salah family, in addition to warning to demolish 4 others and to evacuate all stalls in Bab al-Amoud within the old walls of Jerusalem. At the end of January 2013, the Jerusalem Municipality launched demolition and bulldozing campaign targeting lands and houses in the neighborhood of Wadi Rababah in Silwan. Meanwhile, the occupation authorities handed demolition orders against 13 houses, in addition to the demolition of 10 tin huts in Al-Fahidat neighborhood located east of the village of Anata. The so-called city administration handed evacuation notices to east Jerusalem Bedouins in favor of settlement expansion, in addition to the demolition of the village of Bab al-Shams. The report stated that during the demolition process, the Israeli occupation forces attacked the people of Silwan in their homes and lands, leading to the injury of several people, including 3 women. The occupation forces prevented a ministerial delegation from roaming in Jerusalem under the pretext of being sent by the Palestinian Authority, where they detained the Minister of Housing and Public Works, Maher Ghneim, and Undersecretary of Media Ministry, Mahmoud Khalifa, at Hazma checkpoint, also they summoned 4 Jerusalemites for interrogation. During the month of January, Israeli settlers have stormed Al-Aqsa Mosque several times, while Israeli Prime Minister Benjamin Netanyahu visited Buraq Wall in coincidence with the Israeli Election Day. The occupation forces prevented aid supplies for the people of the northern and Southern Jordan Valley, where they stormed several houses, restaurants and shops in the Issawiya in light of the Israeli campaign began in December last year targeting the residents and properties in Issawiya village where 147 citizens were arrested. The IOF also surrounded Omari mosque in Sur Baher, leading to confrontations. Meanwhile, settlers' attacks have continued during January against the Palestinian youths and mosques, where they stormed and damaged Dawud mosque. Concerning prisoners' issue, the liberated prisoner Ashraf abu Dhra'a, 29, was martyred in Augusta Victoria Hospital in Jerusalem, due to the Israeli medical negligence, while three Palestinian prisoners were released after ending their prison terms. A report prepared and published by the International Solidarity Foundation for Human Rights revealed that Israeli soldiers shot and killed seven Palestinians, and kidnapped more than 300, last month – January 2013. The foundation said that four Palestinians – two children, a young woman and a young man, were shot and killed by Israeli fire in the West Bank, and three more Palestinians, including one child, were killed in Gaza. The army also kidnapped more than 300 Palestinians, including more than 60 children and five women, in the West Bank and the Gaza Strip. This number does not include the activists who were detained after the army attacked and removed the Bab Al-Shams village, that was installed by Palestinian and international activists on Palestinian lands Israel illegally confiscated for settlement construction activities in East Jerusalem. Most of the arrests were carried out in Hebron, in the southern part of the West Bank, as the army kidnapped more than 80 Palestinians. 70 more Palestinians were kidnapped in Jerusalem while the rest were kidnapped in different parts of occupied Palestine. Some of the kidnapped Palestinians are also former political prisoners who previously spent several years in Israeli prisons. In the West Bank, on 23 January 2013, in excessive use of force, the Israeli forces killed a Palestinian woman and wounded another one north of Hebron. According to investigations conducted by the Palestinian Centre for Human Rights (PCHR) and eyewitnesses' accounts, at approximately 14:00 on Wednesday, an Israeli car (white Toyota Corolla) was traveling near the main road known bypass road #60 close to al-Arroub Agricultural College in Hebron. Two Israeli soldiers in the military uniform were traveling in the car. A number of Palestinian boys who were in the area threw stones at the car, which immediately stopped near the sub-entrance of the College that has been closed for several years by the Israeli forces using an iron gate. One of the soldiers stepped down from the car and indiscriminately opened fire from a machine gun at the branch road leading to the College. As a result, Lubna Moneer al-Hanash, (21), from Jabal al-Mawaleh village east of Bethlehem, was killed by a bullet to the head, and Su'ad Kahlil Ja'ara, (37), was wounded by a bullet to the left hand. Both women were on the branch road nearly 50 meters away from the abovementioned bypass road. The two women were evacuated to the National Hospital in Hebron. Soon after, the Israeli forces and police arrived at the scene and declared the area a closed military zone. A number of residents of al-Arroub refugee camp, which is nearly 200 meters away from the scene of the crime and clashed erupted between them and the Israeli forces, which fired tear gas canisters and sound bombs. A number of civilians suffered from tear gas inhalation. On the same day, a Palestinian child of wounds he had sustained on 18 January 2013. According to investigations conducted by PCHR, at approximately 14:30 on Friday, 18 January 2013, dozens of boys and children gathered at the eastern entrance of ‘Ayda refugee camp, north of Bethlehem, and threw stones at the Israeli soldiers positioned inside the watchtower in the vicinity of Belal Ben Rabah Mosque (Rachel Tomb), north of the town. The Israeli forces later positioned at the main entrance of the camp and started firing sound bombs and tear gas canisters at the demonstrators and opened fire at them. As a result, al-‘Amareen was wounded in the head and was transported to Beit Jala Public Hospital to receive treatment. Due to his serious condition, the aforementioned child was transferred to Hadasa “Aein Karim” where he stayed till they declared his death on the above-mentioned day. On 25 January 2013, a Palestinian civilian was wounded by shrapnel from a sound bomb southeast of Hebron. At approximately 17:30, after declaring the death of Saleh al-‘Amareen of his wounds sustained during the clashes, which broke out in the vicinity of Belal Ben Rabah Mosque at the entrance of Bethlehem on 18 January 2013, dozens of young men gathered at the entrance of al-‘Aeza refugee camp, north of the town, and started throwing stones and empty bottles at the Israeli soldiers positioned in the vicinity of the aforementioned mosque. The Israeli soldiers immediately fired tear gas canisters, sound bombs and rubber-coated metal bullets at the demonstrators and then moved towards the entrances of the camp amidst shooting. As a result, some of the demonstrators suffered from tear gas inhalation and received treatment on the spot, except Mohammed Maher ‘Amarnah, (21), from al-Dheisha refugee camp, south of the town, as he suffered from severe gas inhalation and was transported to Beit Jala Public Hospital. Eyad Sho’aeib Sa’aid Abu Sha’aira, (22), was injured in his right foot with a gunshot and was transported to Beit Jala Governmental hospital. Ahmed ‘Alian al-Qadi, (24), was also hit by a tear gas canister in the head and was then transported to Bethlehem Arab Society for Rehabilitation where his injuries were described as serious. The Israeli naval forces continued to fire at Palestinian fishing boats in the Gaza Strip. On 23 January At approximately 06:15, the Israeli gunboats stationed off al-Waha resort in the northern Gaza Strip opened fire heavily at Palestinian fishing boats for 15 minutes at a distance of 5 nautical miles off the shore. As a result, the fishermen were frightened and fled for fear of being abducted or wounded. Neither casualties nor material damage were reported. At approximately 08:40, the Israeli forces moved nearly 200 meters into al-Qobtania area, southeast of Beit Hanoun, in the northern Gaza Strip. They leveled lands adjacent to the border fence between the Gaza Strip and Israel, amidst sporadic shooting. As a result, the farmers and bird hunters, who were in the vicinity of the aforementioned area, were frightened and fled for fear of being wounded. At approximately 14:30, the Israeli forces withdrew from the area and neither casualties nor damages were reported. On the same day, Israeli forces bulldozed two houses built of stone, wood and tin, three tents and three cattle barns in Abu-'Ajaj area, in al-Jiffitlek village, north of Jericho. On 25 January 2013, dozens of Israeli settlers coming from "Beit Hagai" settlement, established on Palestinian land southeast of Hebron, raided the Palestinian farmlands near Deir Razeh village, east of Doura, southwest of Hebron. On the same day, dozens of settlers coming from "Kharsina" settlement outpost, established on Palestinian lands east of Hebron, stormed al-Hussain Valley area. They attacked a Palestinian civilian by spraying tear gas on his face. Later, a large Israeli forces unit raided the area and abducted the civilian and transported him to an unknown destination. On the same day, At approximately 10:00 on Friday, a group of settlers coming from "Eliezer" settlement, under the protection of the Israeli forces, planted olive seedlings in Khelat al-Fahem area, south of al-Khader village, located between "Eliezer" and "Gosh Atsion" settlements, on the lands of Palestinian civilians from al-Khader village. On 28 January 2013, Israeli forces stopped Palestinian farmers of al-Nawa'ja family from accessing their farmlands, adjacent to one of the Israeli forces' military camps in Susiya area, southeast of Yatta, south of Hebron. The farmers were going to plant the land with olive trees. The soldiers detained a number of the Palestinian civilians for a number of hours before releasing them. Israeli forces continued to systematically use excessive force against peaceful protests organized by Palestinians and Israeli and international activists against the construction of the annexation wall and settlement activities in the West Bank. As a result, 5 civilians, including 2 children, were wounded. Besides, dozens of Palestinians suffered from tear gas inhalation or sustained bruises. As a result, 5 Palestinian civilians were injured, including two children. Four of them were wounded in the Bil'ein weekly peaceful demonstration, including a child, a member and a photographer of the Popular Committee against the Wall and the Settlement Activity in Bil'ein and an Israeli solidarity activist, while a child was wounded in Nabi Saleh weekly demonstration. Following the Friday Prayer on 25 January 2013, dozens of Palestinian civilians and international and Israeli human rights defenders organized a peaceful demonstration in Bil'ein village, west of Ramallah, in protest to the construction of the annexation wall. The demonstrators gathered in the streets of the village, chanting slogans calling for national unity. The protesters aimed to stress the need to adhere to national principles and the right of return, to resist the occupation and to call for the release of all Palestinian prisoners. The protesters raised Palestinian flags and made their way towards the lands adjacent to the annexation wall. As a result, 4 demonstrators sustained wounds, a child, a member and a photographer of the Popular Committee against the Wall and the Settlement Activity in Bil'ein and an Israeli solidarity activist. Also dozens of demonstrators suffered from tear gas inhalation and others sustained bruises. Also following the Friday Prayer on 25 January 2013, dozens of Palestinian civilians and international and Israeli human rights defenders organized a peaceful demonstration in Ne’lin village, west of Ramallah, in protest at the construction of the annexation wall and settlement activities. The demonstrators moved towards areas of the annexation wall. Immediately, Israeli soldiers stationed in the area fired rubber-coated metal bullets, sound bombs and tear gas canisters at the demonstrators. Around the same time on Friday, 25 January 2013, dozens of Palestinian civilians and Israeli and international human rights defenders gathered in the Martyrs Square in Nabi Saleh village, northwest of Ramallah, to hold a weekly peaceful protest against the construction of the annexation wall and settlement activities, entitled: "In support of the prisoners on hunger strike in the Israeli prisons." The protesters walked towards the gate erected by Israeli forces near the entrance of the village, which leads to Palestinian lands that Israeli settlers from the nearby "Halmish" settlement are trying to seize. Israeli soldiers fired live and rubber-coated bullets, sound bombs and tear gas canisters at the protesters. As a result, a 17-year-old child was hit by a tear gas canister to the head and dozens of demonstrators suffered from tear gas inhalation and others sustained bruises. At the same time on Friday, dozens of Palestinian civilians and international human rights defenders gathered in Budrus village, west of Ramallah and al-Bireh, for a peaceful protest against the annexation wall and settlement activity. The demonstration was entitled: "In memory of the Killing of Samir Amed Awad." The settlers walked through the village streets and headed towards the wall. The Israeli forces closed the wall gates with barbered wires, and when the demonstrators attempted to cross wall to the land behind it, the forces stopped them and so the demonstrators threw rocks at them. The Israeli soldiers fired tear gas canisters and rubber-coated bullets. As a result, dozens of demonstrators suffocated from tear gas inhalation. After the Palestinian Minister of Prisoners Affairs, Mr. 'Issa Karake', declared the PNA's intention to build a village for the prisoners released from the Israeli jails on Palestinian civilians' lands west of 'Anin village, to the west of Jenin, and called it Kasser al-Kaid village (Breaking the chains), at approximately 15:30 on Friday, 25 January 2013, Mr. Rabah Roshdi Abdallah Yassin (49), owner of the land, accompanied by the head of the village council and a number of the village's youths and a digger, went to prepare the land for erecting tents on it the next day. Immediately after arriving to the land, Israeli forces arrived at the scene and stopped them from working. At approximately 14:30 on Saturday, 26 January 2013, the Israeli forces declared 'Anin village a closed military zone, and deployed its soldiers in the village, accompanied by a number of military vehicles. They were also stationed at the village's gate, and denied a number of Palestinian officials from entering the village, including the Mayor of Jenin, the Minister of Prisoners Affairs and Jammal Howail, member of the Palestinian Legislative Council (PLC). As a result, dozens of them suffered from tear gas inhalation. The Israeli soldiers also beat Mr. Jamal Howail after engaging in a skirmish with them. Palestinian civilians Ahmed (24) and Yousif (32) Sha'ban Shafe' Yassin were abducted while trying to leave the village and join the gathered demonstration at the village's entrance. As a result, dozens of participants suffered from tear gas inhalation. The soldiers also assaulted a number of the demonstrators by kicking and punishing them. The assaulted demonstraters were identified as: Moussa Abdel-Hamid Abu-Maria (44) and Ahmed Abu Hashim (45). The Israeli soldiers detained an Israeli solidarity activist, and released him later. On Tuesday, 29 January, Saber al-Zaa’anin, Coordinator of the local initiative in Beit Hanoun and who supervises on such solidarity activities with the Palestinian farmers who are subjected to shooting by Israeli forces. At approximately 10:20, al-Zaa’anin, accompanied with 8 foreigner solidarity activists and 14 Palestinian solidarity activist from the local initiative in Beit Hanoun, went to al-Ba’a farmland to help farmers harvesting their crops. Only moments before finishing their job, a number of Israeli soldiers got out of their jeep to position at the eastern border fence and started directly shooting at them. As a result, they were all frightened and forced to flee for fear of being injured. No injuries were reported.